Sequel to the cult 2007 sci-fi movie. Remember the 2007 fringe SF classic, The Man from Earth? Distributed mainly through torrent shares, this viral sensation became a late-night gem, featuring the sort of low key, cerebral science-fiction which deserves to be ranked alongside the more literate and thoughtful episodes of The Twilight Zone and Star Trek (no surprise there, as The Man from Earth’s screenwriter was the great Jerome Bixby, an occasional scribe for both of those shows). If you haven’t yet had the pleasure, then stop reading, watch the original (on itunes only, it seems) and then come back: not only will the following review of The Man from Earth’s sequel be spoilerific of its predecessor, but you’re missing out on a stimulating and sincere filmic experience. And, before you rent, make sure that you gather a couple of likeminded travellers and maybe a good bottle of Malbec too (or whatever else your poison may be…), as The Man from Earth is that sort of film, centring on a Big Chill-ish gathering of academics upon the occasion of enigmatic colleague Professor John Oldman’s (David Lee Smith) retirement, during which Oldman suggests to his sapient mates that he just may have been alive for over 14,000 years and therefore privy to vast historical happenstance and a consequently deep anthropological awareness, causing much intellectual consternation which leads to 90 minutes of eloquent patter concerning religion, the nature of humanity and the implacability of time. The Man from Earth is a smart catalyst to the sort of post-film musings that could last until the small hours. Actually, who cares if they do? The first film made clear the nomadic obligations of Oldman’s existence, and his immortality too. Surely if these kids do uncover the truth about their brooding pedagogue, then there is precious little they can do with it. This film has already established that a well-respected intellectual’s expose wasn’t taken seriously, so these cocky youtubers have no hope. Oldman will simply have to up sticks and move on, something he’s been doing for literally ages (at least six and a half of them). Mind, this time he’s in a relationship with Vanessa Williams, who defies time herself by still being so softly stunning, so perhaps it’s not so simple (in the interests of balance it must also be noted that handsome Smith, with a method congruity to the film’s themes, has seemingly not aged either). 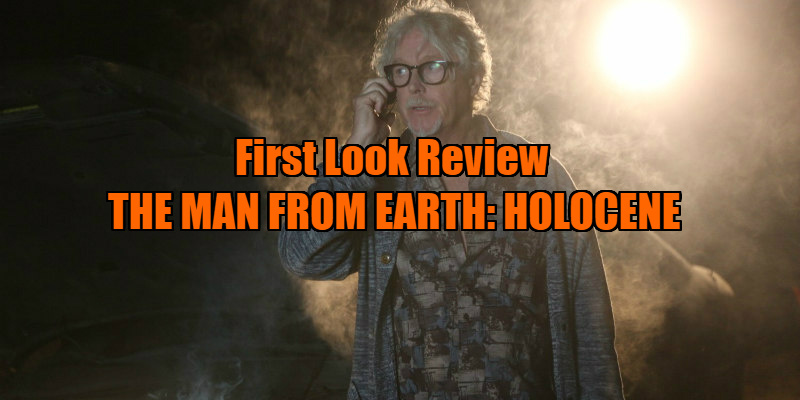 The teasing ambiguity of The Man from Earth OG is dissipated; we know that Oldman is an old man, so most of the film consists of waiting for these kids to catch up. Gone too are the philosophical reveries: whereas the original aimed to expand the mind with intellectual space, the sequel closes in on plot and causal narrative, which limits the intriguing cosmic speculation of its antecedent. Also, despite being an update, there is only scant lip service paid to modernity here, mainly in the inquisitive students’ lazy use of the internet: in a world where religion is increasingly used as an excuse for the most terrible of murders and misguided paradigms, it seems as if an opportunity to tackle the contemporary relevance of belief systems was missed by the film, which largely substitutes action for thought. However, the contrast between this film’s younger cohort and the original’s older heads is perhaps telling. Is the film implying that this younger generation, with their internets and sense of entitlements, live too closely in the moment, turning over stones in order to know everything but, in their impetuosity, understanding nothing, and instead ultimately ruining everything? 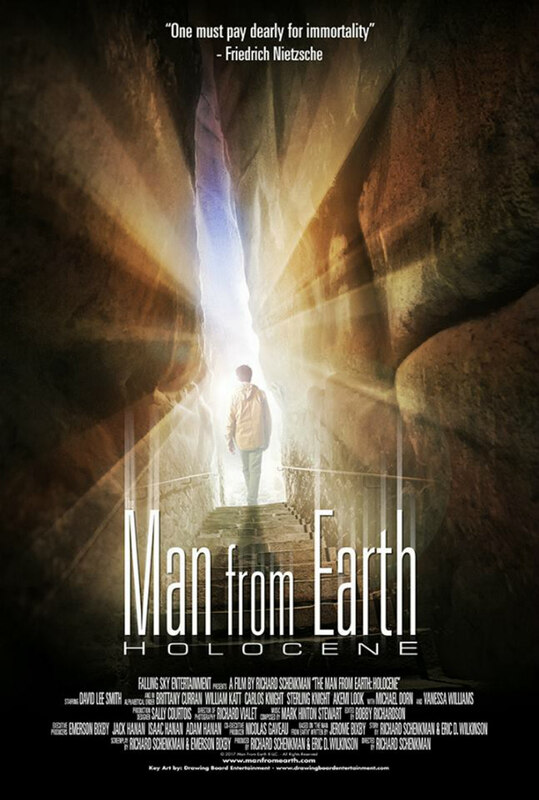 Is Man from Earth: Holocene commenting on modern audiences who demand structure, conflict and resolution, rather than the challenge of scholarly engagement? Or maybe, inspired by the experience of the first film’s debate, I’m scavenging for (or ‘pretentiously reading into’- either is valid) higher meaning in this sequel, which is best viewed as a largely welcome, bonus addendum to a very special film. It took 10 years for a second chapter to 2007’s original: even if it had been given 14 millennia, any sequel would have an impossible job living up to Bixby senior’s one-off pop ontology.